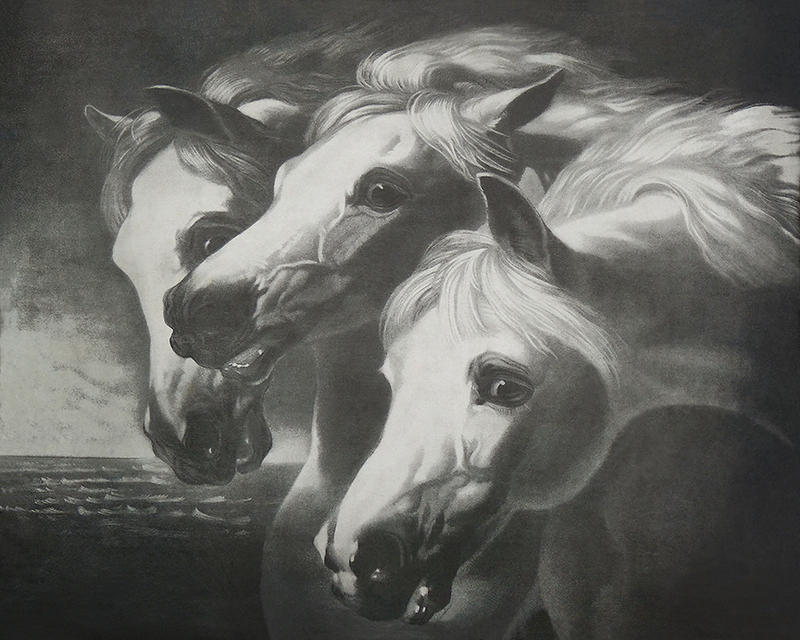 This early airbrush rendering was a family heirloom dating back to the beginning of the last century. The piece was too fragile to remove from the frame for scanning, and so we photographed it and retouched the resulting digital file. This enabled us to return the original to be safely stored away. When retouching was finished, the file was sent out for printing on a fine, acid-free watercolor paper (Rives BFK), ensuring that this favorite family image will last for many years to come! Bringing old photos back to life is always a rewarding project. 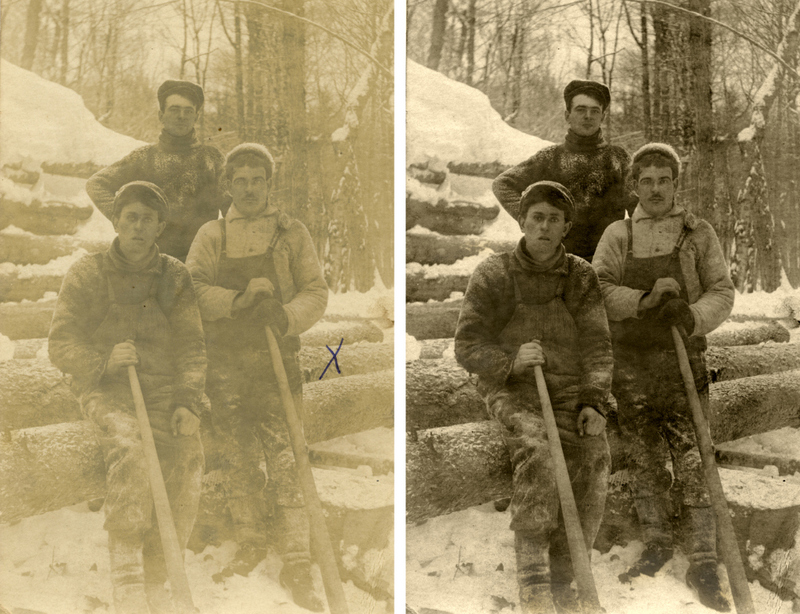 Here’s a before and after of an old shot taken at a logging camp in Canada.